INR Vs USD: In the six trading sessions, the rupee has gained 110 paise against dollar. INR Vs USD: On Monday, the rupee had ended at 71.18 against the dollar. 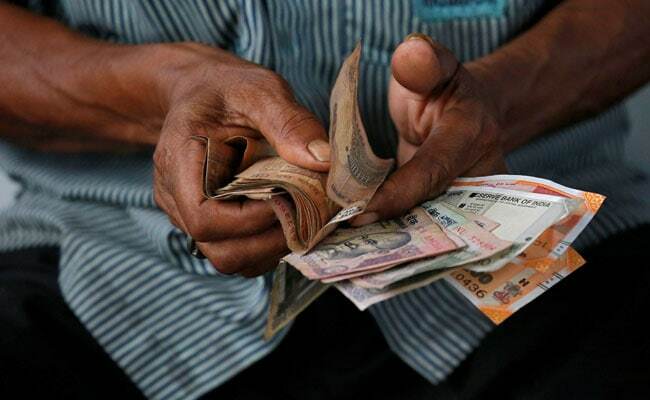 Registering sixth straight session of gain, rupee strengthened by 48 paise to close at one-month high of 70.70 against the dollar on Tuesday, reported Press Trust of India (PTI). In the six trading sessions, the rupee has gained 110 paise against dollar. Optimism ahead of index of industrial production (IIP) numbers for December and retail inflation for January supported the rupee on Tuesday, analysts were quoted as saying in the PTI report. This is the highest closing level since January 11 when the rupee had closed at 70.49. At the forex market, the rupee moved in a range of 71.21 to 70.69 before finally ending at 70.70, showing a gain of 48 paise over its last close. On Monday, the rupee had ended at 71.18 against the dollar. At the end of Tuesday's trading session in the forex exchange, market was awaiting retail inflation and Industrial output numbers. Rupee appreciated on hopes of weak inflation data for December. However, rising crude prices, foreign fund outflows and heavy selling in domestic equities capped the gains, traders said. The dollar index, which gauges the greenback's strength against a basket of six currencies, fell 0.04 per cent to 97.01. According to the official data released after market hours, retail inflation eased further to 2.05 per cent in December from 2.11 per cent in November, raising hopes of further rate cut by the RBI to boost growth. Industrial production growth, on the other hand, remained subdued at 2.4 per cent in December due to weak performance of mining and manufacturing sectors. Foreign portfolio investors (FPIs) sold shares worth Rs 466.78 crore, and domestic institutional investors (DIIs) sold shares to the tune of Rs 122.64 crore on Tuesday, provisional data showed. Brent crude, the global oil benchmark, was trading at $62.74 per barrel, higher by 2 per cent. Domestic equity benchmarks, meanwhile, settled on a negative note. The S&P BSE Sensex fell 0.66 per cent or 241 points to 36,154 and the NSE Nifty 50 Index declined 0.5 per cent or 57 points to 10,831.